Manny Montelibano’s work is focused on the psychology of contemporary socio-political, economic and religious structures. The artist probes through these subjects’ subtleties and intricacies by way of video or inter-media installations - often exposing macroscopic realities through extracts of local culture. A flavor of social realism intravenously makes its way to his works, although the entirety of his oeuvre is not so rigidly bound within it. 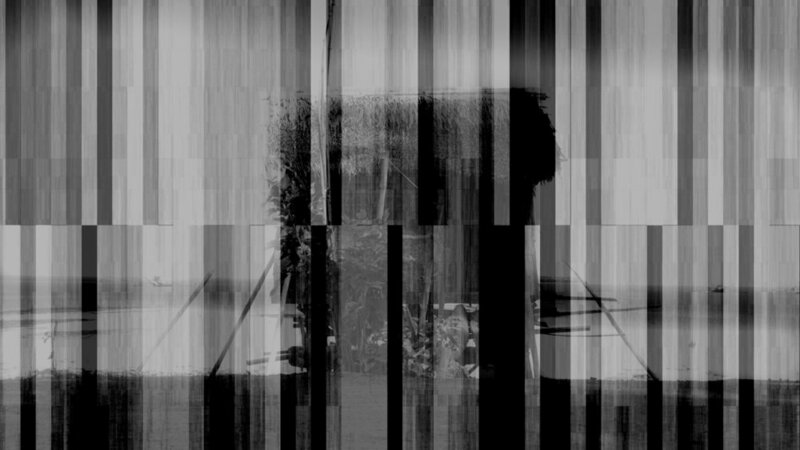 Montelibano is greatly concerned with the actual process of conveyance, very much evident in the creative and informed utilization of technical elements in his installations and editing techniques applied to his videos. Comprising the artist’s visual language are clear reflections on and of the Philippine cultural landscape that are processed into artworks charged with more universal context. The video installation "Biya" (2008), for example, presents cockfighting as “a mutated [piece of] macho Filipino identity that shows nationalism in gambling,” as Montelibano puts it, which ultimately points to a world stage where violence is received as entertainment. His video "Pamunit" (2010) features slow-motion footage of a man fishing juxtaposed with the sound of Formula 1 racing cars; it simultaneously reflects on existing economic structures of the Philippines as well as the global discrepancies between wants and needs, all in all stitched together with an opposing aesthetic recollection of time. Occasionally, Montelibano’s works take a more political turn, such as in "Sorry for the Inconvenience" (2011) and "Ma’am Said" (2011). For the Philippine Pavilion of the 56th Venice Biennale he made the multi-channel video, "A Dashed State", which discussed geographical border issues on a global and historical scale from the standpoint of current Philippine sea border disputes. Mariano “Manny” G. Montelibano III (b. 1971) lives and works in Bacolod, the province of Negros Occidental, Philippines. He holds a Bachelor’s degree in Economics from the University of St. La Salle in Bacolod City, where he is currently Director of the Institute of the Moving Image. He also received his training through experience as technical director at University of St. La Salle in Bacolod and various film projects. He is an active cultural worker in the Philippines, especially in the Visayas region, affiliated with various organizations such as the National Commission for Culture and the Arts of the Philippines, Black Artists in Asia Association and VIVA EXCON Organization. In the Philippines, his works have been exhibited in the National Museum of the Filipino People, Cultural Center of the Philippines, Metropolitan Museum of Manila, Museo Iloilo, Visayas Islands Visual Arts Exhibit and Conference, Vargas Museum, Galleria Duemila, NOVA Gallery, Museo Negrense de La Salle, Fort Santiago-Intramuros and at the Ateneo Art Gallery where he is represented in its collection. He has also been part of exhibitions in Seoul, Korea; Hong Kong, Spain, Germany, New Zealand, Canada, USA, France and around South East Asia. In 2015, he represented the Philippines at the 56th Venice Biennale.